Susan Fisher brings nearly three decades of government relations and public policy experience to McDonald Carano, covering issues before local, state and federal bodies. Prior to joining McDonald Carano in 2014 as Government Affairs and Advocacy Group vice president, Fisher served as executive vice president for a cooperative electric utility headquartered in southern Nevada. She has also owned and operated her own political consulting and public relations company, Fisher Consulting, based in Reno, Nevada. 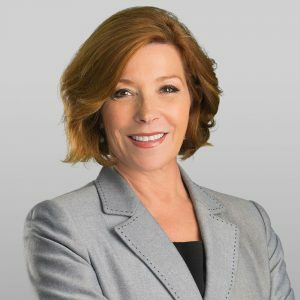 Having lived and worked in various parts of Nevada over the past four decades, Fisher’s extensive resources and relationships assist her in providing clients with personalized service and proven results. She earned a B.A. in Journalism from the University of Nevada, Reno. While in Reno, Fisher was on the Executive Board of the National Championship Reno Air Races, Board of Directors of the Nevada Military Support Alliance, Reno-Tahoe International Airport Air Services Task Force, Reno-Tahoe International Airport Community Outreach Committee, Downtown Improvement Association, City of Reno Alcohol Advisory Board, and UNR Presidents Legislative Advisory Board. Fisher has enjoyed appointments to several state boards and commissions by former Governors Kenny Guinn, Jim Gibbons, and Governor Brian Sandoval. She has also served on the Board of Directors for Nevada Outreach Training Organization (NoToAbuse) in Nye County. She is a recipient of the National Guard Association of the United States (NGAUS) Patrick Henry Award for contributions and efforts benefiting the Nevada National Guard. Fisher has represented a wide variety of client interests including industry associations, local government, pharmaceuticals, energy issues, mining and mineral exploration, health care providers, landlord/tenant issues, hotel and lodging, manufactured/modular building industry, power sports, and state regulatory boards.